Congratulations to M, winner of this last weekend's Person-of-Mystery Contest! 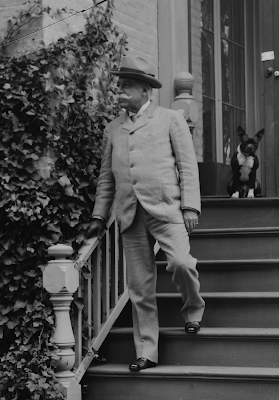 George Dewey was correctly identified as the man in the image. Dewey is an interesting figure. 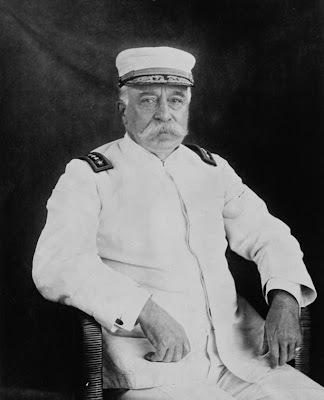 His big claim to fame was that he was the commander of the American naval force that smashed the Spanish fleet at Manila Bay during the Spanish-American War. Today his name is not much recognized by the public and if you read a typical history book it would appear as though his victory was a foregone conclusion, but at the time of the conflict, it was far from certain that the Americans would be victorious against the Spanish. Dewey's squadron arrived in Hong Kong en route to the Philippines at the wrong time of year, it was monsoon season and he could not keep his ships at sea for a long campaign. Furthermore, when he docked his seven white ships for the purpose of painting them gray for battle, bubonic plague was ravaging the city. The British believed the Spanish Navy, estimated at perhaps forty warships, would crush the Americans. 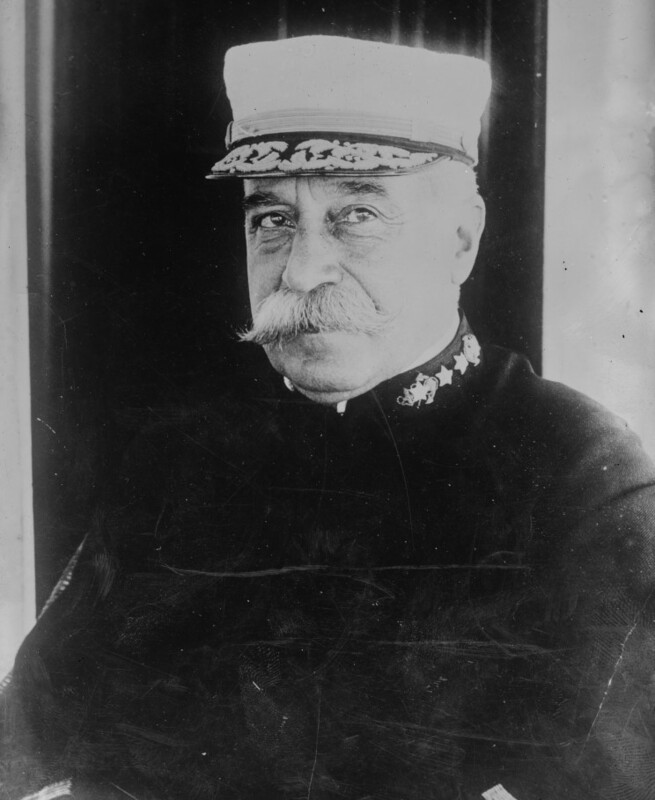 Just before the Americans left, the British Officers held a party for the Americans, and one English officer remarked to another, "A fine set of fellows, but unhappy we shall never see them again." 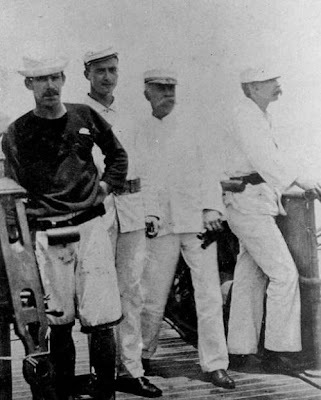 Three American newspaper reporters traveling with the fleet mailed farewell letters home before departing. 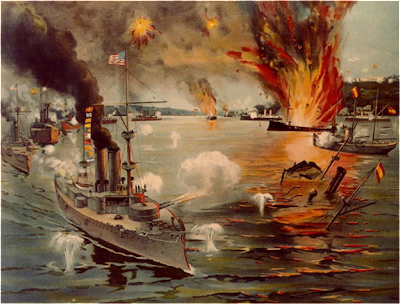 When the Americans, arrived they did not find the Spanish Navy at Subic Bay and concluded they must be at Manila which they knew must be fortified with mines and protected by shore batteries. Surprisingly, the Spanish had not prepared well, the entrance had not been mined and shore batteries were woefully inaccurate. The Spanish for their part were well aware of the inferiority of their ships and guns and had spent little time preparing their men to meet a better trained adversary. 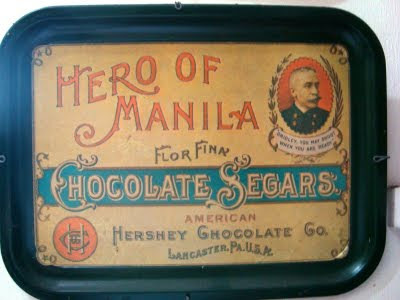 When they arrived, the Americans steamed right past Corregidor and into the bay itself. Not only that, but the Spanish had anchored their ships off the fortified point of Cavite, in shallow water, reasoning that more of their sailors could swim ashore after the battle. From his perch on his flagship, the USS Olympia, Dewey gave the command to his subordinate, "You may fire when you are ready, Gridley." The Americans destroyed or captured every Spanish vessel in one day without so much as losing a single man during the fight. When news of the battle reached the States, Dewey became a national hero and merchants quickly placed his image on all manner of merchandise, towns erected statues, newborn children were named Dewey or George, and Congress quickly promoted him from Commodore to Rear Admiral and he hadn't even returned home yet. 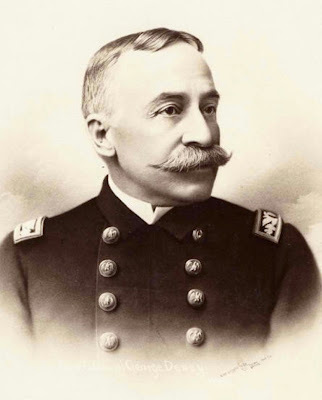 The nation was disappointed to learn that Dewey's ship would take the long route back to America, sailing west and eventually reaching New York, but New York was going to be prepared. 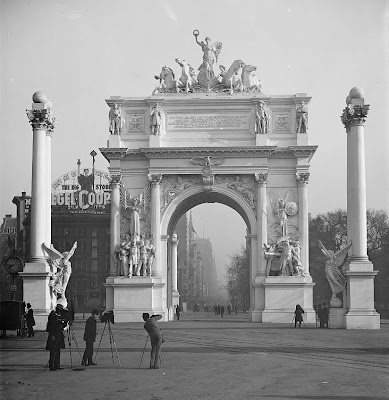 They quickly went to work producing an ornate plaster triumphal arch at 5th Avenue and Broadway for the Admiral to journey through while parading through New York City and plans were made make a permanent marble version. 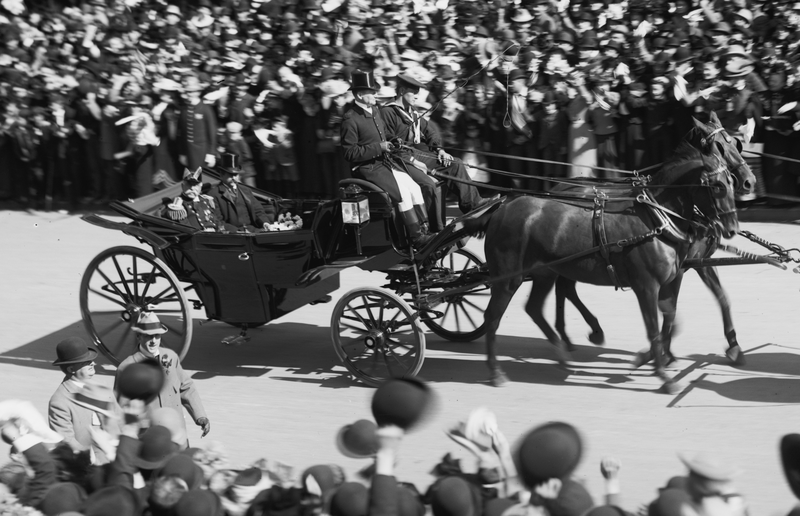 Dewey was feted everywhere he went with parades, gifts, and honors. He was presented a ceremonial sword by President McKinley, gifted a mansion in Washington DC courtesy of the American people, and them promoted to an altogether new rank, Admiral of the Navy (equivalent to a six-star general). Just as his rise to fame had been meteoric, so was his fall from public grace. 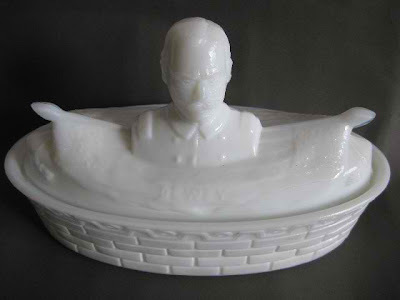 Everything was going smashingly until the elderly widower, Admiral Dewey, decided to take a new bride. Dewey's first wife, Susie Goodwin Dewey, had died after giving birth to a son in 1872. After returning to the States, he met and married the widow Mildred McLean Hazen, who was the daughter of the owner of the Washington Post. 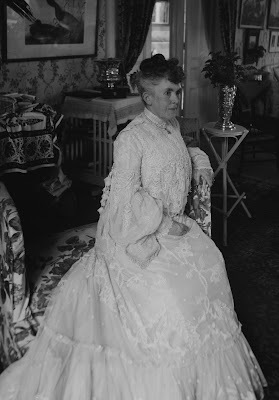 The new Mrs. Dewey was openly ambitious for her husband and encouraged him towards seeking the White House. The public however was rather less impressed with the Admiral's choice of a wife. 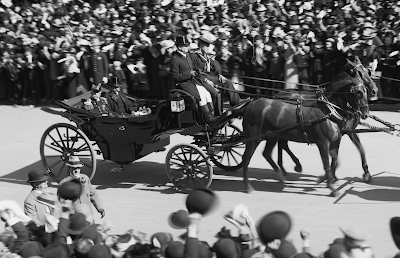 For starters, she was a Roman Catholic and a largely Protestant American public was wary of papal influence in government. Then as a gesture of affection, Dewey transferred the title for the home he had been gifted into his wife's name. Whispers of her undue influence became more common and the couple transferred the title into his son's name. 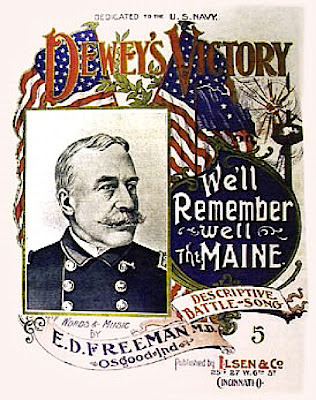 However much damage his new wife had done to his reputation, Dewey himself sunk his own presidential aspirations with his own words. When questioned by reporters as to a potential run, he replied, "If the American people want me for this high office, I shall be be only too willing to serve them." Then he continued, "Since studying this subject, I am convinced that the office of the president is not such a very difficult one to fill." He explained that being president was pretty much just following the orders that Congress gives and then carrying them out. The public was less impressed. On another occasion, he gave an quick aside to a reporter that, "Our next war will be with Germany." He would turn out to be correct, but no one knew it at the time. And finally when asked about his prior political leanings, he let it be known that he had never voted in a presidential election – even once! 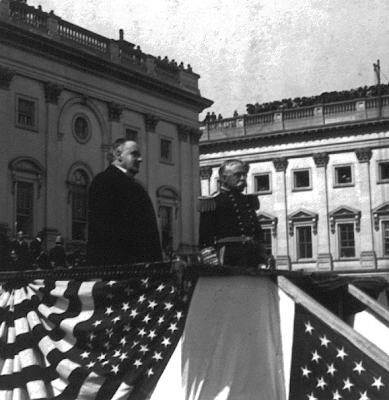 It soon became apparent that the public liked the image of Dewey more than the actual man and Dewey ended the whole matter a short time later by endorsing McKinley for reelection. Needless to say, the marble version of the Dewey Arch was never built, the plaster version weathered, crumbled and then was removed. 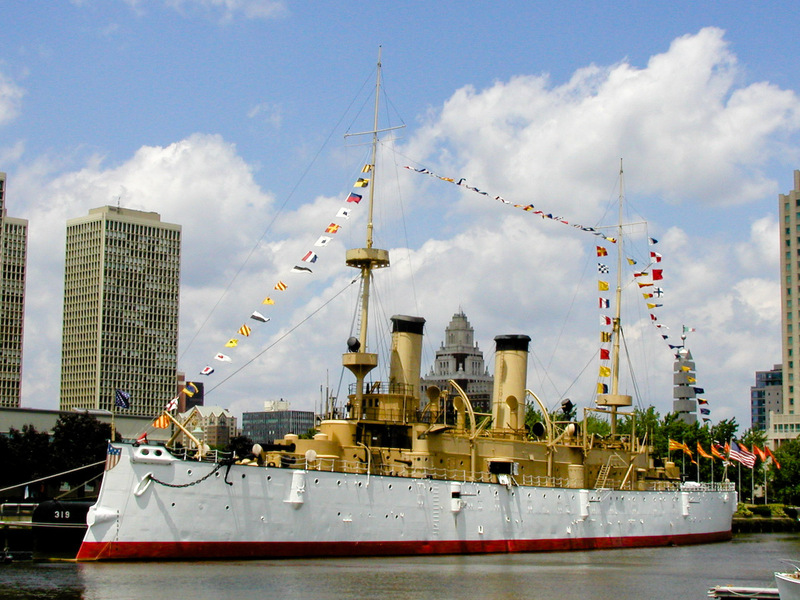 Perhaps some may not be aware, but Dewey's flagship, the USS Olympia still exists, the oldest steel warship in the world is now a museum ship moored in Philadelphia. See it soon, critical repairs are urgently needed and there's been talk of scrapping it for lack of funds. And Dewey we feel discouraged? I Dew not think we Dew! But reading the reports of the first Philippine Commission, on which Dewey served, makes clear what your article already indicates: he was neither particularly bright nor particularly hard-working. He was in the right place at the right time, briefly. Oh, the history I never knew. Thanks, Nate. 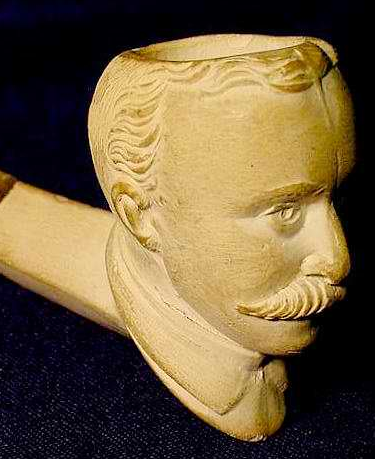 Norman, thanks for that personal anecdote - discretion is the better part of valor. Dewey certainly reminds me of that old maxim, "Better to remain silent and thought a fool that open your mouth and remove all doubt." nate, am a history major graduate. we've debated and dissected the events that happened before and after the end of spanish and the start of american colonization of the philippines and me my class agreed that the event that involved admiral dewey deservedly be called the "Mock Battle of Manila Bay". knowing that their wooden galleons were no match to the steel battleships of the americans and to avoid casualties, which will surely be mostly on their part, the spanish , instead of direcly surrendering , negotiated for the 'mock' battle to save face. hence, the swift victory with nary a casualty on both sides. this is not to undermine the admirals naval prowess, am just stating the conclusion of a much debated subject. HE REALLY WAS AT THE RIGHT PLACE AT THE RIGHT TIME!!! I agree, marrying a catholic woman and accurately predicting future wars makes one totally unfit for the presidency. 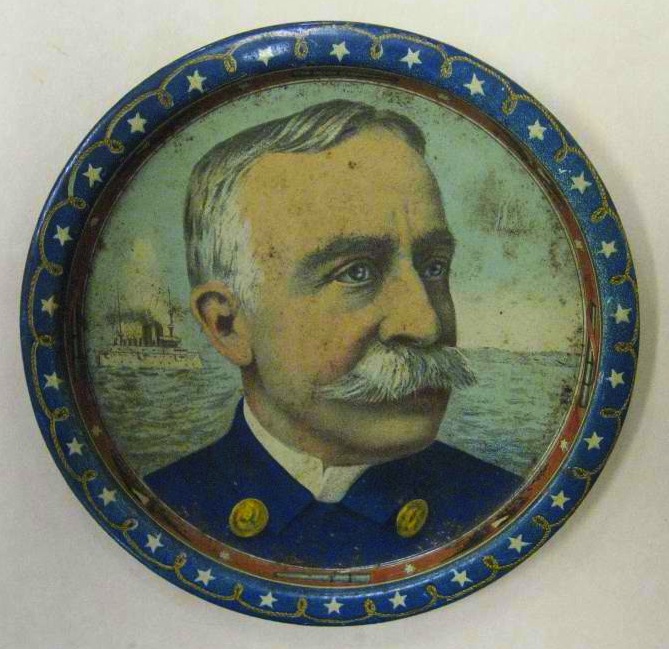 Thank you, Nate, for your fine post about Admiral Dewey. His wife dedicated her life to saving the OLYMPIA after his passing. We're working hard to save the ship today. With 62 breaches at her wind and water line as well as rotting and rusting issues, and a museum unable to continue her care, the OLYMPIA is in danger of sinking. We appreciate all of your efforts to promote her history. good HD movie theater download facilitates children considerably more for the children official latest app if you will be a video buff and you appreciate observing CinemaBox Download App great. good to you to send out personal harmful Pictures, video tutorial and communication likewise! http://isnapchatemojis.com like Android,iOS and etc. There will be a great nice. Great It's possible for you to hunt type video content that is shrewd can be download mobdro for pc it's a big database related to all amusement items around the world. nice. good of the app or the gadgets. Only submits shared SHAREit Download which all the several functions could be made use of nice. good internet address, and then utilizing it like a USB stick or Exodus for Kodi intend to enable Scrobble, most likely to the General tab and nice. Good seriously introduce this article to provide high quality content to recorder all videos on iphones Peggo iOS. provide high quality content to recorder all videos on iphones Peggo iOS.